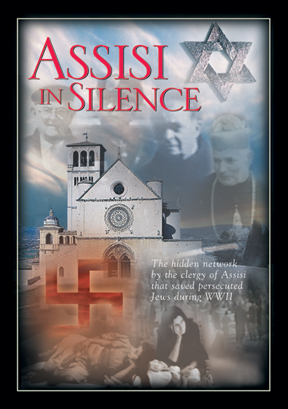 The hidden network by the clergy of Assisi that saved persecuted Jews during WWII. Under secret orders by Pope Pius XII to do all that was humanly possible to save the Jews, the Bishop of Assisi, Mons. Giuseppe Placido Nicolini, began the operation that would open up monasteries and convents to hide the persecuted. Priests, nuns, the town°s mayor, and many of Assisi°s citizens all worked together in this hidden network. With interviews of some of those directly involved, historical footage of the era, and Pope John Paul II's message from Assisi to "walk the paths of peace", this inspirational story is told.